The Barefoot Masters® has a vision for all LMTs. To use their feet and not just their hands. We offer Ashiatsu Massage trianing classes with overhead Bars and Floor Bars developed for outdoor events and mobile house calls. In addition, we offer live seminars and workshops, as well as a home study and online course. Ashiatsu Massage Training will provide a lasting future for massage therapists. It will save their hands. Ashiatsu Bar Massage Therapy is a luxurious and yummy deep tissue barefoot technique. The Barefoot Masters® developed the anterior routine of Ashiatsu. Then the posterior routine needed to be revamped. 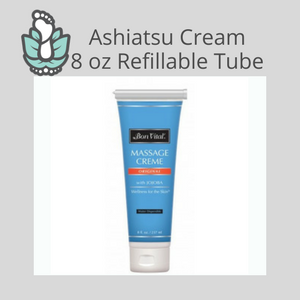 It is so everyone would be able to perform Ashiatsu. The Barefoot Masters® has trained therapists in Ashiatsu massage since 2001. Instructors provide the Ashiatsu Bars for each workshop. 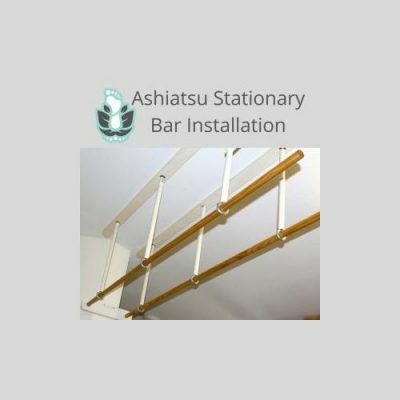 The bar installation, schematics, and instructions discussed in detail during class. Don’t want to wait? Schematics are available for purchase on the website if you need in advance. Clients do not walk out; they float out. Your last deep tissue of the day will be as good as your first! This class is contraindicated for those who have just had implant surgery for less than 9 months or pregnancy. No restrictions on the weight of therapist. Ahh…shiatsu Floor® is a trademark of Ashiatsu. This barefoot approach to massage technique removes the limitation of bars making it house-call friendly. The bars are replaced by stools. 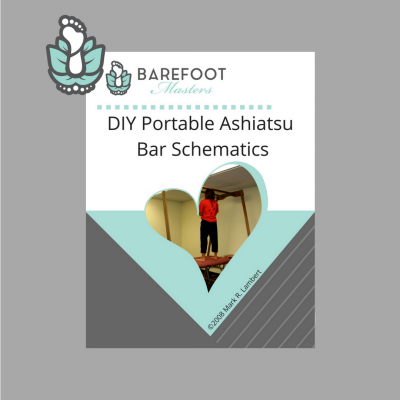 The routine is the same as Ashiatsu Bar. The client is on a floor mat and the therapist performs the massage either standing or seated on a stool or chair. This deep tissue massage brings about a relaxed state that last for hours after a massage service. Clients don’t walk out of a session – they float. Awkward, however, improves on day 2. Most of the class time is devoted to hands-on technique. Anterior, Posterior one-footed strokes and Certification. The class includes Digital Manual and DVD.